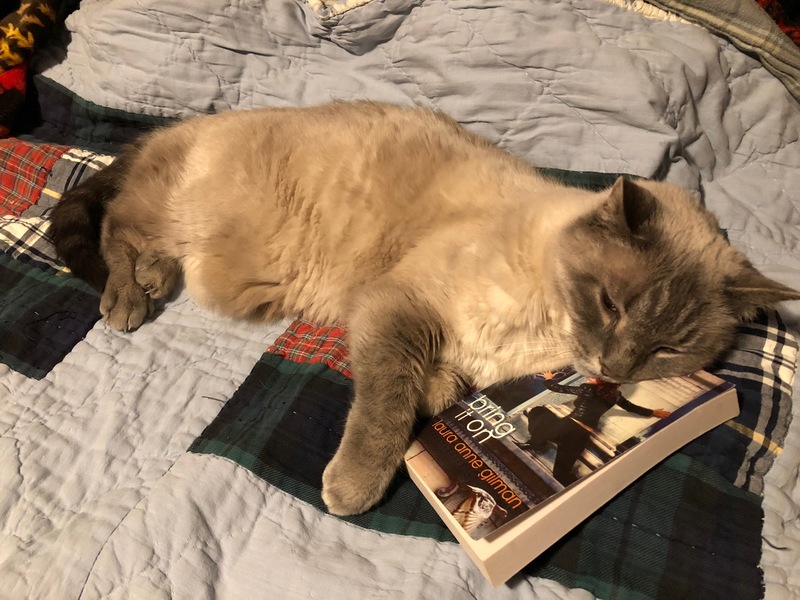 This entry was posted in Cats Sleep on SFF and tagged Alice Bentley, Laura Anne Gilman by Mike Glyer. Bookmark the permalink. So wonderfully cute! It deserves its pillow. Works with today’s Breaking Cat News. I should clarify that I did *not* nod off while reading Bring It On.